These ultimate four manicures will knock you off your feet and send you to another dimension. They represent four seasons that we have. Spring, summer, fall, and winter! Which season is your favorite? Now you can match your nails completely with your favorite time of the year. The best part about that? Making everything seamless, balanced, and beautiful! You know how in the summer we like to make our nails pop with a vibrant color? As well as we like to make them mysterious when the fall hits? There are some rules that we must follow, that way we just might end up with the most creative and perfect manicure for the current time of the year. Wondering what type to get for your favorite season? Check these out! Is Spring your favorite season? Mine too! The endless blossomed flowers, green grass, pleasant smell, and a perfect in between temperature. For you who have allergies then urgh maybe not so much. 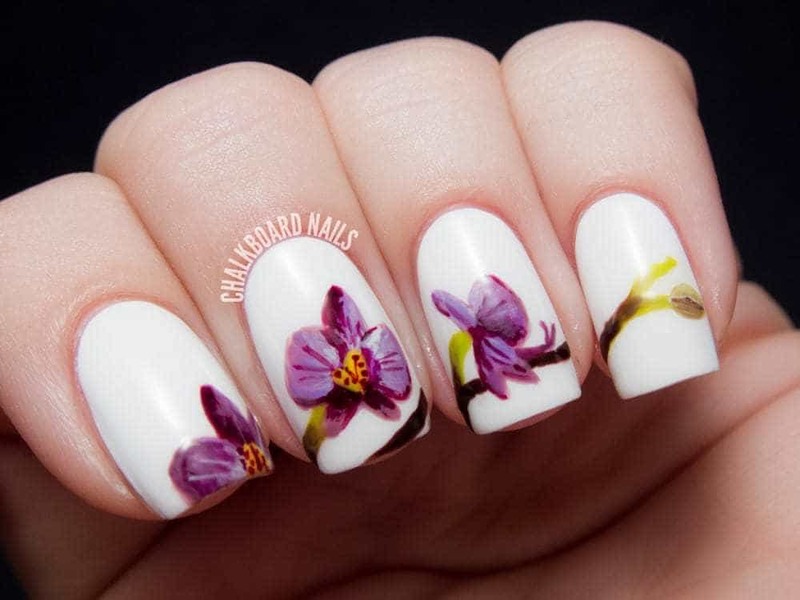 However, these flower inspired nails are perfect for the spring season. Make them cute, vibrant and especially do them with a flower print. Which flower? Tulips are a symbol of spring. If those are your favorite, then get them. If not, then whatever it is that rocks your boats. Who doesn’t like hot summer days and beach parties? These summer nails are a total hit! Watermelon is a super vibrant and colored fruit that no one can resist, so getting this onto your nails may be the best move to go for. Sure you can get some plain pinks and yellows, but why not do them in style? Also, did you know that watermelon is about 92 percent water? But this refreshing fruit is soaked with nutrients. Yummmy. 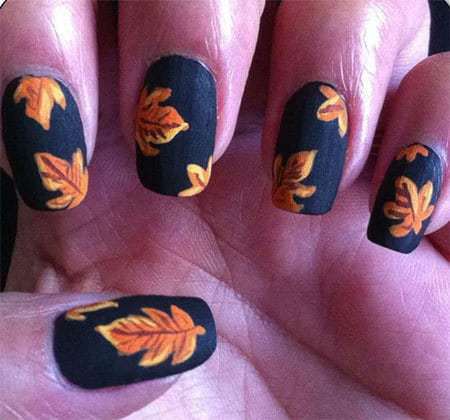 This fall get some leafs onto your nails and feel like a fall queen. Who couldn’t like this season? The weather is just right, nature is changing its colors, and wait for it, Halloween is just around the corner! We recommend getting your nails in a matte darker color since that one is the most attractive one during this time of the year. If everything could be this flawless. Ultra long, glossy, and white acrylic nails are reminding us of the winter, snow and the everlasting beauty. Don’t you just love when everything quiets down in winter? That is everything except for your nails! Make them ultra hot and with a pop by doing these long shiny nails. You will have all the eyes on you for sure. These four nails that represent four seasons can totally be toned up or down, based on your preferences. However, just make sure to slay them with your head held high. Don’t be scared by being a trendsetter, embrace your fall manicure and make everyone ”fall” in love with it.